Culinary oils are ingredients that need to be understood in order to be enjoyed at their best. Learn more about each oil’s unique flavor profile and qualities and put them to use in one of the delicious recipes included, from Asian-style salads to Mediterranean fish dishes. There is so much more to oils than simply frying. 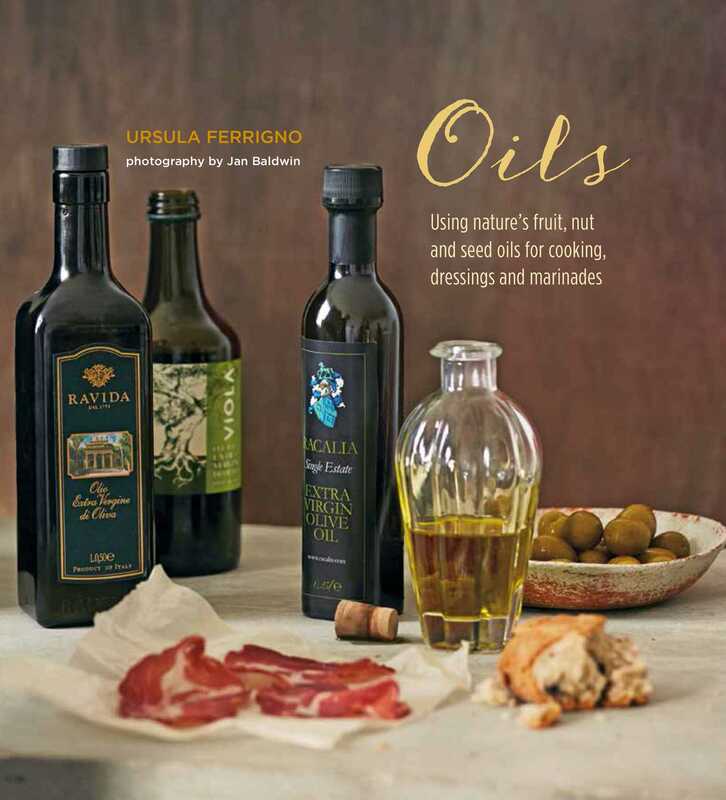 In the invaluable cookbook, chef Ursula Ferrigno looks at some of the key oils and explains their characteristics, health benefits and origins, as well as their use in cooking. There are also more than 30 recipes here to whet the appetite. Just as with any ingredient, the flavors in oils must complement the foods they are paired with in order to bring out their subtleties. To that end, you’ll discover which oils to use to make classic appetizers, like Beef Carpaccio with Gorgonzola and Walnuts, refreshing salads, such as ‘Dama Bianca’, and exceptional pasta dishes, like Orecchiette with Chickpeas. You’ll learn how to make delicate, refined fish dishes, such as Poached Turbot with Watercress Oil and aromatic meat dishes, including Pork Roast Braised with Milk and Fresh Herbs. You’ll also be able to put your baking skills to the test with Potato and Gorgonzola Focaccia before tucking into one of the sublime desserts, including an incomparable Olive Oil Ice Cream. Finally, you'll discover the secrets of delicious dressings and marinades.